There is no safe amount or type of asbestos, but certain factors can increase the risk of health problems. 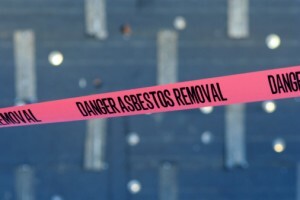 Asbestos is officially classified as a hazardous material in California because of the risks it poses to human health. Breathing in asbestos fibers can increase the risk of developing lung cancer or mesothelioma, as well as contribute to other respiratory problems. So do you need to worry about becoming sick from asbestos? That depends on the following factors. There are actually two different types of asbestos, amphibole (used in shipbuilding and insulation) and chrysotile (used in construction). Since the 1990s, researchers have learned that the chrysotile form is not as dangerous as the amphibole form, especially in low concentrations. Chrysotile asbestos fibers are much less durable in the lung and can be more effectively removed by our white blood cells. However, this doesn’t mean chrysotile asbestos is not dangerous—in heavy exposures it can still cause health problems. The type of material that the asbestos is part of also affects the dangers it poses. Some materials, like floor tiles, are made using resins that make it much harder for harmful asbestos fibers to break out of the matrix in the sizes that you could breathe in. Asbestos fibers are only dangerous when inhaled. Therefore, as long as an asbestos-containing material remains intact and in good condition, it doesn’t really constitute a health hazard. The trouble arises when the material begins to age or gets damaged. The location of loose asbestos fibers also plays a role in how dangerous they are. For example, in the case of asbestos in the soil, the main danger lies in fibers near the surface of the soil. These fibers could become airborne by people walking on the soil or by the wind kicking up dust. Fibers buried deep in the soil pose no risk so long as they are not disturbed. To some extent, the amount of asbestos exposure you may have affects how likely you are to develop a health problem. In general, problems are more likely in individuals with repeated exposure to large amounts of asbestos over months or years. However, disease has also been documented in individuals with minimal exposure. An individual’s personal risk factors, including whether or not they smoke and whether they have any existing lung disease, can make the risk of developing lung cancer after asbestos exposure worse.